The potential exists for a significant risk of severe weather tomorrow across portions of the Upper Midwest and Great Lakes region. This threat is likely to include destructive wind gusts, as well as the conditional potential for strong tornadoes and large hail. This mornings data shows a nearly zonal flow pattern across the northern plains with high pressure sitting across the southwestern US. A shortwave trough is seen across the southern Canadian Rockies, with a secondary low across the Pacific Northwest. Ascent ahead of these features will contribute to moisture advection today and eventual MCS formation by this evening in the northern plains, with this MCS spreading eastward overnight. Exact implications of this MCS on tomorrow’s severe potential is unclear. Instability in the wake of morning convection is at question, but I believe there should be enough instability to support substantial severe weather in at least a small area. The main focus for convection should be along and ahead of a fast moving cold front by late tomorrow afternoon. There may also be remnant boundaries from morning convection that may act as local foci for convection. Furthermore, I would watch out for something ahead of the line, potentially in far southern Michigan. 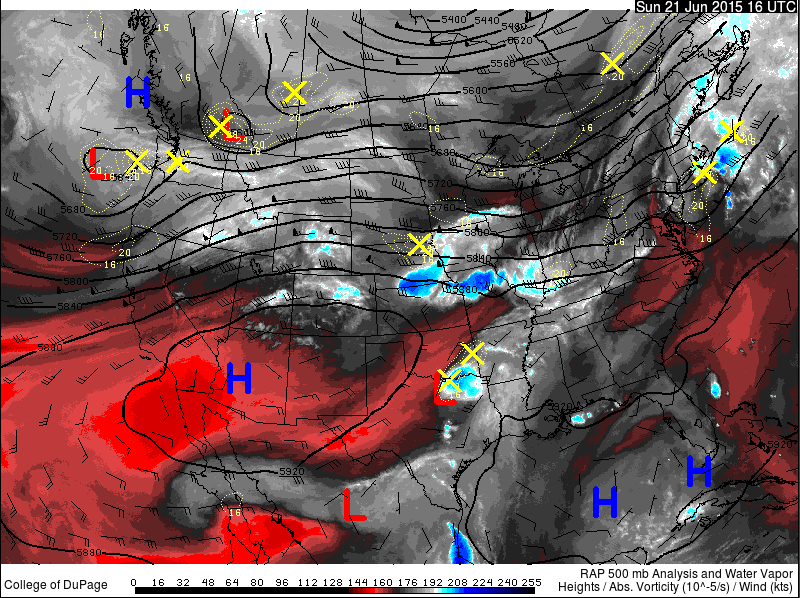 The upper level shortwave is going to be traversing the region rather fast. If enough destabilization can occur further downstream across southern Michigan in the warm air advection wing, there would be an environment favorable for significant severe weather, including a conditional threat for a strong tornado, with substantial low level shear. I still believe with the amount of instability in place that a few tornadoes will occur (maybe some strong) but really get a vibe that everything is out of sync here. Expect lots of wind damage reports tomorrow, though.